It’s getting warmer out, which means we’ll soon all be switching from heavy, dark wintertime beer to delicious, nutritious summertime alcohol. 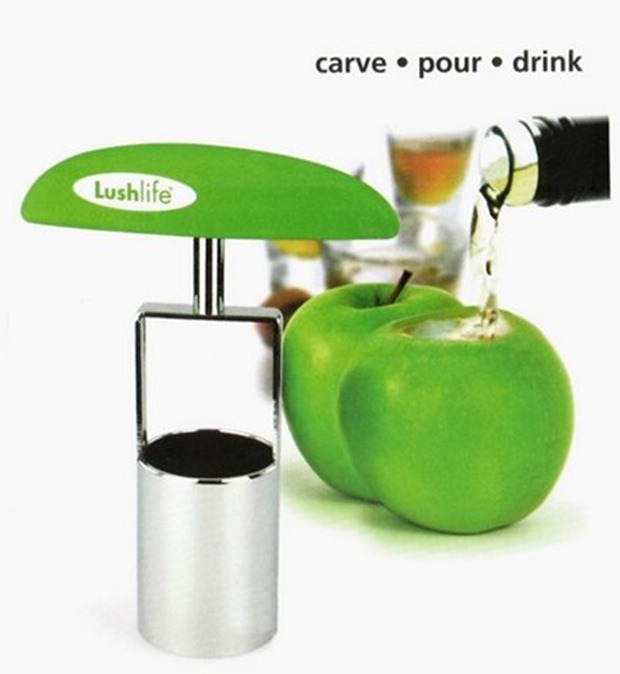 The ShotCarver costs $12 and can be used to create a shot-sized pockets inside apples, pears, watermelons, and more. You’ll satisfy your insatiable appetite for booze and you’ll get your daily allotment of fruit, too, since you’ll basically be able to eat your own shot glass.